Food Chain / Food & Drink What's Next going to do next? "I knew this question was coming. It's not there. There's nothin'," Beran says. "I mean, we're two weeks into this [current menu]," he explains. "We're going to start the dialogue—Chef [Achatz] is out of town, Nick [Kokonas] is starting the outline right now. We all have our ideas, and none of our ideas are the same. I think I'm the only one without any ideas." "I had a good run with it," Beran says. 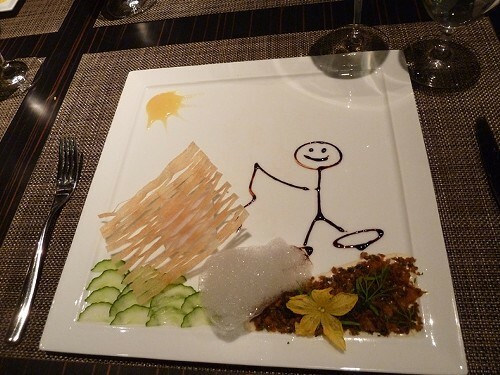 "I picked kaiseki [Kyoto], I picked the Hunt, I picked Vegan. Chef picked Bocuse—well, he gave me the option of Bocuse or another one." Although the lineups are deliberately chosen for some contrast between successive menus—Paris 1906 to Thai, the Hunt to Vegan—there have been certain similarities in approach for each season. When the restaurant opened in 2011, the main theme was travel, initially in both space and time, though the latter was dropped after Paris 1906. Only the Childhood menu was purely conceptual. 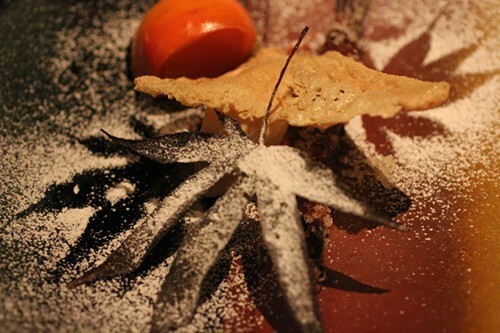 2012's menus followed in that path, all evoking specific places—Sicily, Kyoto, and the modernist cuisine of El Bulli in Spain. But 2013's were all more concept driven, with both the Hunt and Vegan flitting around different cultures. Even Bocuse d'Or, though very much a French meal in execution, got there by way of a concept, not a specific cultural cuisine. "This year's menus were a little more challenging to the public," Beran acknowledges. 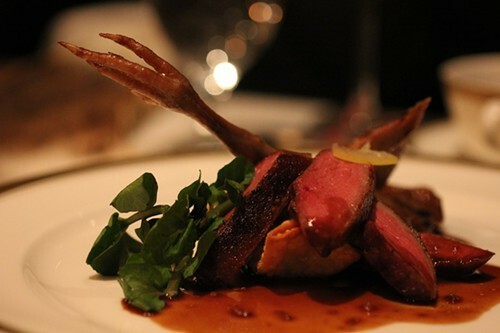 "You say Paris 1906, everyone knows immediately: classic French cuisine. You say something like Vegan, and the preconceived notion is, I don't like the vegan restaurant down the street—whatever generic idea you have of vegan—and it wasn't that at all." "I think people were a little afraid of that because they didn't know what they were getting into," he says. "And the Hunt was not what anyone expected. Nobody expected two vegetarian dishes in the middle of the Hunt. So I think next year, we're definitely going to do something a little more—if you say tacos, you know what that is. I just don't know what that's going to be yet." That the menus got more conceptual as Beran came into his own as the executive chef is not coincidence. "I think they'll always let me do at least one conceptual menu because I have so much fun doing it," he says of owners Achatz and Kokonas. "It lets me have more of the voice. But moving into our fourth season, I think it would be good to bring back some of the time and place. I think that would be good to do, just to kind of reground ourselves in where it started." Along the way Beran mentions a little-known fact that hints at the kind of direction Next could take in the future. "Childhood wasn't the original title for that menu," he says. "But we couldn't do the one we wanted, so it evolved naturally into it." What was the original concept? "I really wanted to do a menu based on Shel Silverstein's Where the Sidewalk Ends. When I ate at Mugaritz, he gives you a card that has a poem on it, and then the course that follows gives you the visual of that poem. So I thought it would be really cool to base it on these poems, and he was Chicago-based, but we just couldn't get [the rights]. So that whimsical thought process easily translated into Childhood."